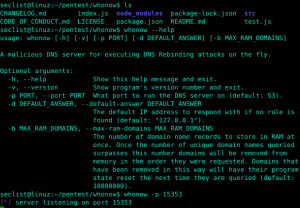 Browse: Home / whonow – A malicious DNS server for executing DNS Rebinding attacks on the fly. 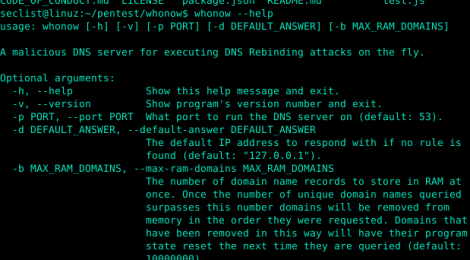 whonow – A malicious DNS server for executing DNS Rebinding attacks on the fly. Whonow DNS Server is A malicious DNS server for executing DNS Rebinding attacks on the fly. 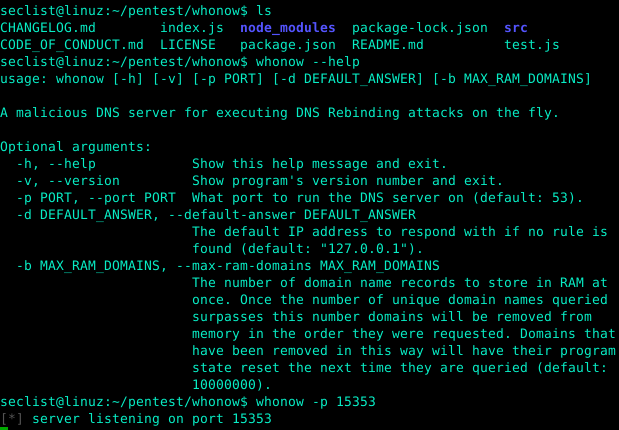 whonow lets you specify DNS responses and rebind rules dynamically using domain requests themselves. Note: You should include UUIDs (e.g. a06a5856-1fff-4415-9aa2-823230b05826) as a subdomain in each DNS lookup to a whonow server. These have been omitted from examples in this README for brevity, but assume requests to *.rebind.network should be *.a06a5856-1fff-4415-9aa2-823230b05826.rebind.network. See the Gotchas section for more info as to why. ← phishingdetect – A phishing detect system with NLP/OCR/HTML features.